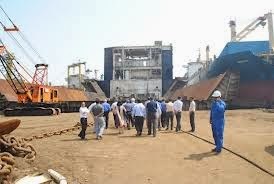 This is to draw your attention towards the actual length of the plot on Alang beach, Bhavnagar, Gujarat which is allotted to ship breakers on rent, which leads to loss of revenue to the government. I submit that there is no justification for such mistake. The officials of Gujarat Maritime Board (GMB) should be held accountable and liable and the loss of revenue must be recovered at the earliest. ToxicsWatch Alliance (TWA) has been working on the issue of shipbreaking for several years and has been an applicant in the Hon'ble Supreme Court and is currently pursuing a related case in the National Human Rights Commission (NHRC).